Last Saturday I was very fortunate to meet Meyer Vaisman for the first time. Born in Caracas, Venezuela in 1960 from Jewish Rumanian-Ukranian parents, Vaisman was a very influential artist of the 1980-90s New York scene, who later 'disappeared' from the art world, therefore his work remains largely 'unknown' to the newer generations. Vaisman not only developed his own artistic work, but in 1985 opened the gallery 'International with Monument' in New York's Lower East Side, which showed artists such as Richard Prince, Ashley Bickerton, General Idea, Peter Nagy, Peter Halley and Jeff Koons. In 'International with Monument' he also organized an exhibition of unseen Robert Smithson drawings. Vaisman together with Ashley Bickerton, Jeff Koons, and Peter Halley were known as the 'Fantastic Four', partly due to their exhibition that launched the 'Neo-Geo' movement at Sonnabend Gallery in 1986. Vaisman went on to have solo exhibitions at Sonnabend, Leo Castelli, 303, Gavin Brown, Patrick Painter and Camargo Vilaca. In 1990 he married curator Lisa Phillips, they later separated. In a March 24, 1997 interview in 'New York Magazine', Phillips acknowledges the influence Vaisman had on her becoming aware of the work of artists from other cultures. 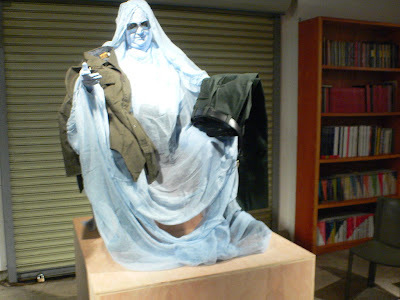 In 1995, Vaisman was selected to represent Venezuela at the Venice Biennale. As curator Jesus Fuenmayor narrates in his text in the Summer 1995 edition of Artforum "(Vaisman) proposed a project consisting of two housing units, each of a type familiar in the Venezuelan landscape. 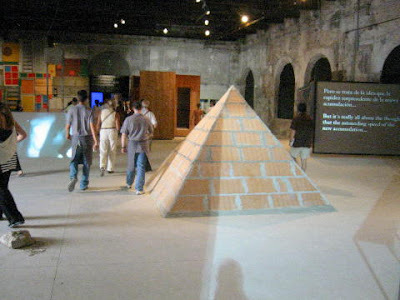 One structure, Verde por fuera, roja por dentro (Green outside, red inside), which was previously installed at the Galeria de Arte Nacional, would have replicated the kind of rancho or shanty in which most of the country's urban population lives. 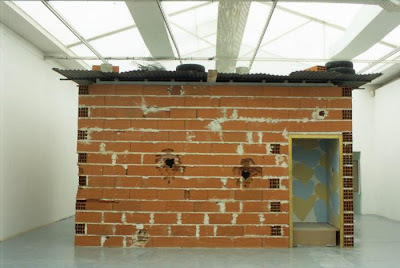 Inside the makeshift structure of hollow bricks and mortar, the artist would re-create his bedroom from his adolescence in Caracas, complete with furniture in the watered-down international style favored by Venezuela's upper-middle class since the '50s. A second structure was to be a palafito, the kind of home built over water typical of the Indians of La Laguna de Sinamaica, a place that figures decisively in the national story. In fact the country took its name from this region, after the explorer Amerigo Vespucci, pejoratively comparing the stilted palafitos with the palaces on the canals of Venice, baptized the nation 'little Venice', or Venezuela. The area was also the geographic center of the postwar oil industry, source of the country's economic boom and concomitant modern development. Vaisman planned to re-create his childhood bedroom in the palafito just as he would simulate his teenage bedroom in the rancho. Finally, equal amounts of water from Venice's Grand Canal and the Lagoon of Sinamaica were to be pumped into Venezuela's National Pavilion, where they would circulate and mix via transparent plastic hoses, suggesting an integration of the two structures, and of the new and the old world. Vaisman's piece didn't quite fit the Biennale's theme, but that's not a requirement for the national pavilions. More to the point, the project clashed with the agenda of Venezuela's Consejo Nacional de la Cultural (CONAC), the body that had voted to elect Vaisman the country's representative in Venice. The committee insisted Vaisman abandon his plans and offer an alternative proposal more befitting the dignity of an international exposition. When he refused to be censored, CONAC called for a repeat election by a newly formed committee, a political maneuver that prompted Vaisman to withdraw from the Biennale entirely." I first became aware of Vaisman's work in 1995, at the short lived PAC gallery in Mexico City's centre, where he exhibited his famous stuffed turkeys with wigs. A conversation between Meyer Vaisman and myself on the joys of being a gallerist and an artist is published in the forthcoming magazine 'Numero Cero' edited by curator Julieta Gonzalez and artist Beatriz Santiago. 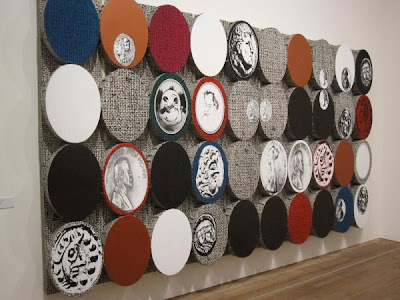 Vaisman is currently preparing a retrospective of his work for Sonnabend in New York which will open next May. Meyer Vaisman, 'Painting Without Context', 1986, from a series of works by the artist titled 'Fillers' conceived as paintings to be placed in the space between other paintings; these only depict an amplified image of the canvas fabric printed on the canvas.